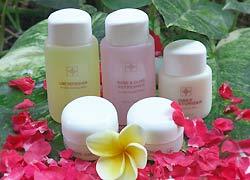 Bali Spa The unknown hot spot spa is located in the back street of Super Nova, near center of Kuta, Bali Beauty Spot. It is a small and cozy spa, but most of the staffs can speak English. 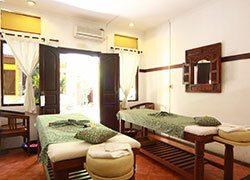 You can take Indonesian and Balinese traditional massage with reasonable price. It is recommended menu, Slimming Massage has good effect for body slimness! Shiatsu massage improve blood circulation and relax your body. Relaxation massage with warm stone and aroma. It will lead you to deep relaxation. Massage with plenty oil. It is work for remove toxin inside body. Massage with warmed oil to soften your muscle. It is works smoothe blood circulation and systemic circulation. 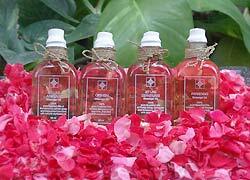 This body treatment is using slimming oil applied to all parts of your body. The massage stimulates the blood and lymph flow, improving circulation. At the same time it softens the subcutaneous fan and then flushes it out of the body via the usual elimination channels. It is a natural, safe and painless method of enhancing your figure. ＊Javanese Luluh・・・Scrub with many kind of herb. It makes smooth and brith skin. A popular treatment in Indonesia to loose tension on your shoulder and head as well as eliminate stress after your daily activities. It could fertlize and soften your hair. A treatment helps ou to flushes off unused skin cells from your body, rejubenate and soften your skins. Lighting your skin pore and smoothing your face. This treatment also includes acupressure point massage. 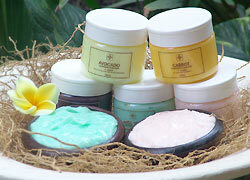 The same as traditional facial just differenced by use fresh furit as a masker. Honey & Lemon pack make titen your skin. 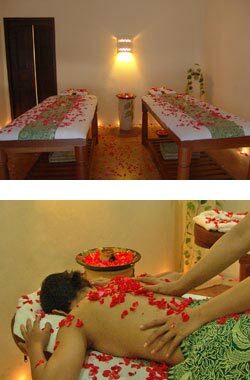 After oil treatment, Javanese luluh for female, Balinese boleh for male which those massage make you relax. 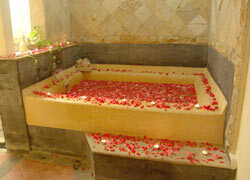 At the end, enjoy the flower bath with your lover. Plenty flowers and candle make romantic atmospehre. 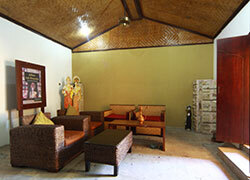 Free transportation (One way only) for 2 persons or above in area of Nusadua, Kuta, Seminyak, Legian, Sanur. Pick up in other areas will be chaeged. Children can wait at the lobby or the treatment room. There are menus for children age over 10 . 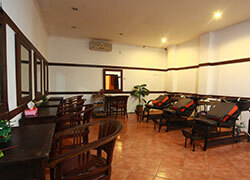 The spa is located at Kuta downtown, however it is very quiet and the treatment rooms designed in Bali atmosphere. Lulur scrub also made me feel good. When I had a massage and the massage strength was a little too strong for me the therapist took the weaker strength.